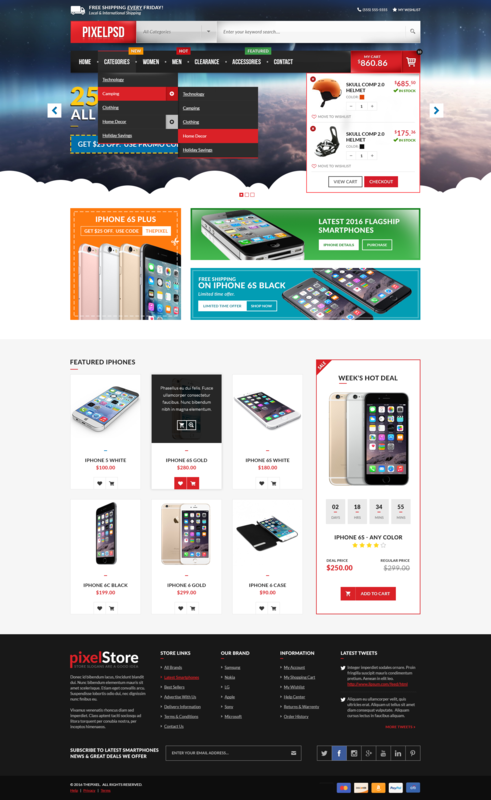 Pixel eStore is an exclusive .PSD Online Shopping Cart UI Pack. 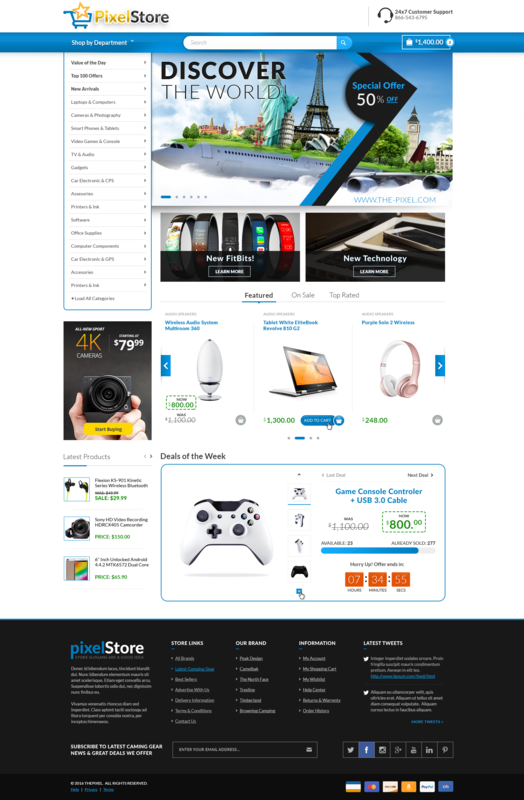 This shopping cart website design can be used for fashion, clothes, travel, technology, shoes, camping and eCommerce websites. 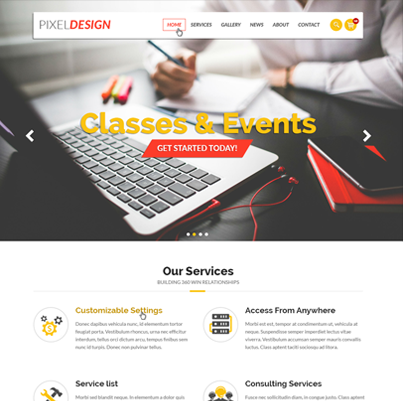 This unique design is a highly suitable template for all types of eCommerce shopping cart websites. The neatly layered PSD file enables easy modifications property grouped by their sections. 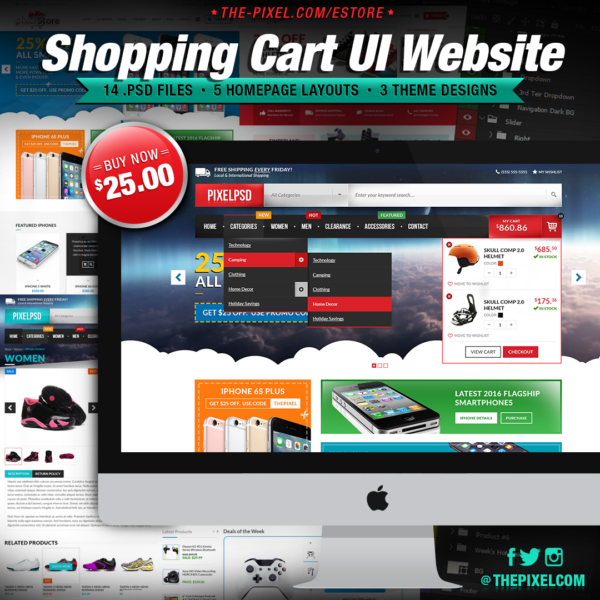 The shopping cart design has flat and purpose oriented design, responsive layout and special features like two product category options, two product detail displays, checkout form page, shopping cart, popup windows and other shop related elements, as well as blog layouts and landing pages. 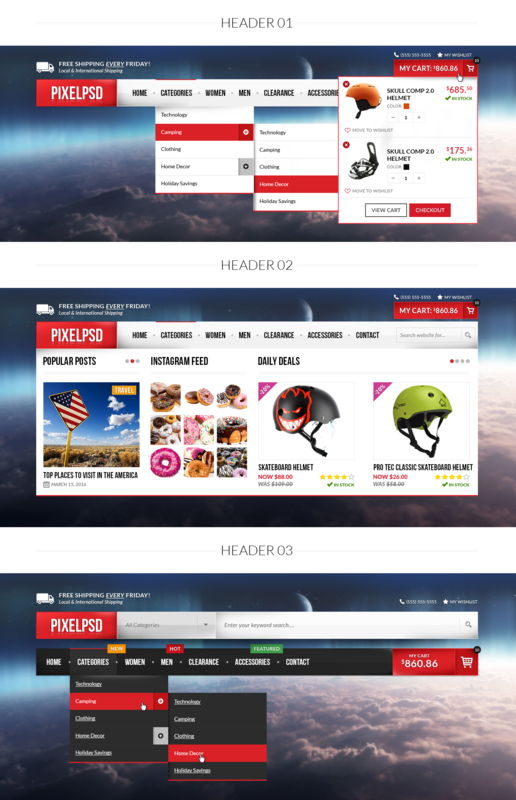 Used for: fashion, clothes, travel, technology, shoes, camping and other eCommerce website shopping carts.